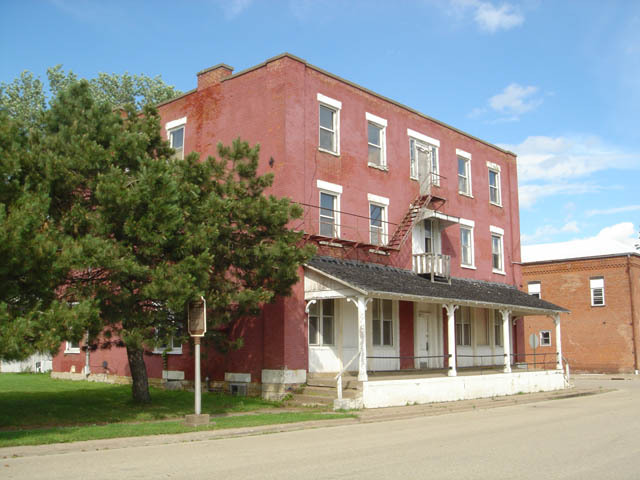 Located W Front St, Denniston St. Cassville WI Coordinates Lat N 42:42':797" Lon W -90:59':456"
'When Wisconsin Territory was established by Congress in 1836. more than a dozen communities eagerly sought to become the capital. Daniels, Denniston, and Company of New York offered this building free if Cassville .were chosen. When the Legislature selected Madison, Denniston's dream ended in bankruptcy. Nelson Dewey arrived in Cassville in 1836 and worked for the Denniston firm. Later, Dewey acquired vast properties here including this building. 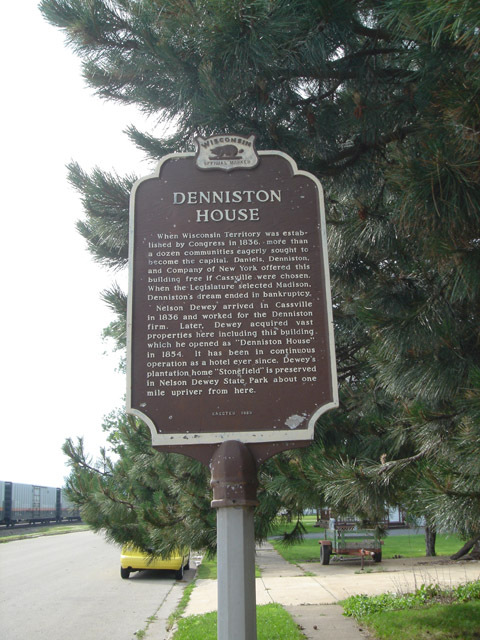 which he opened as "Denniston House" in 1854. It has been in continuous operation as a hotel ever. since. Dewey's plantation home "Stonefield" is preserved in Nelson Dewey State Park about one mile upriver from here.